I turned 20 with blonde hair and tanning booth bronzed skin. The night of my 20th birthday, my friends and I went to Denver’s Grizzly Rose, a cowboy bar that lets you in on Sunday nights, even if you’re not 21. Along with blonde hair and leather-like tan skin, I was also really into country music. My friend, Chelsea, however, wasn’t so into country music. Thus, she brought her fake ID so she could enjoy the night a little bit more and chase the fun that being 19 with a fake ID brings. As I waited inside the Grizzly Rose that night with huge, blue Sharpie X’s designating my age (or lack thereof), I began to wonder what was taking my friends–who were right behind me–so long to get in. It turns out Chelsea’s fake ID wasn’t so great after all. Blonde hair, don’t care. Although, I should have. And so began a decade where I chased a lot. I ran and ran. After fun, more fun, an education, a job, a dream career, a man–ok, men–and a life filled with adventure. When I look back at that little 20-year-old blonde girl in the pictures, I wonder if she really knew what was ahead of her. The people she’d meet. The places she’d go. The doors she’d open. The doors that’d close. The people she’d love. The people she’d lose. The person she’d become. One of the best people I met in my 20s is someone who’d become one of my best friends. At the age of 22, we both moved thousands of miles away from our families to California to chase a crazy dream of working in the entertainment industry. Rebecca was everything I wasn’t, yet everything I was. She had a more refined sense of style, could name and identify designers, understood good wine and food and had traveled overseas. At the same time, though, along with holding this huge and possibly insurmountable dream, we both liked the same music, awful TV shows and had the same snarky sense of humor. At times, I probably took life too seriously for her, but she was always there to help me come back to reality. She was a good listener, which is what I needed. At 20, my friend, Scott, died in a freak car accident and left my heart in a place I didn’t think it could come back from. Celebrating my 21st birthday in Las Vegas, I remember my mom knocking on the bathroom door when I was in the shower to let me know that my grandfather, who helped raise me, died. The day after I sat for the California bar examination, I drove the 14 hours home as quickly as I could, because my dad was in the emergency room and we didn’t know what was wrong. We’d later find out that he had cancer. Rebecca was my friend in California who listened to my heart as it went through all of its emotions. At the same time, though, she was the friend who didn’t let me mope around too much and gently cajoled me back into having fun. Oh, and in her ultra sensitive way, she told me that blonde hair didn’t work for me. In fact, she said, “Yea, you should never go blonde again. Ever.” And so, I’ve been brunette ever since. The first time that Rebecca and I hung out, we may or may not have crashed a really expensive wedding at the Montage in Laguna Beach. In other news, I checked on Facebook and Nicole and Toby are still going strong! And boy, did we have fun. When I look back at my 20s, one of my favorite things about the decade is that I spent most of it in California. What a place to be young! There is an opportunity for fun in every corner. And I think Rebecca, our friend Jenny, and the other wonderful people I met in California–Ashleigh, Luke, Jhovanna, Jak, Katie, Kim, Nadia, Alex, Anne–and my dear friend from college, Lindsay and her husband, Max, found every corner of fun in the state. From San Diego to San Francisco and Baja to Las Vegas, we had it covered. There were nights at mansions and dinners with actors. There were red carpet events and glamorous parties. There was the night I told Rebecca we were going to an MTV VMA party only for us to get stuck at a Hollywood Hills mansion where they were getting ready to shoot a rap music video. “Hey, would you girls like to be in a rap music video?” “Um, no thank you. I don’t think that would be particularly good for my career.” There were girls’ weekends in Vegas and late nights rolling around in the sand in Laguna Beach laughing like we didn’t have a care in the world. There were pranks and hijinx and bad decisions. But mostly, there was fun. Just pure, good, free fun. And when I look back at my 20s, I think that’s what I’ll remember most. That I was able to go somewhere new, where I didn’t know a soul and live out some of the greatest days of my life. The lesson I hope to take away from those moments, is that fun is always at your fingertips. You, yourself, control your spirit and the possibilities for fun it can find. There was no discussion. Just credit cards thrown at a cashier. And beards being haphazardly slapped on our faces. What ensued was glee. Pure, unadultered glee. We ran around San Francisco wearing beards. There are pictures of us by the Golden Gate bridge. In beards. 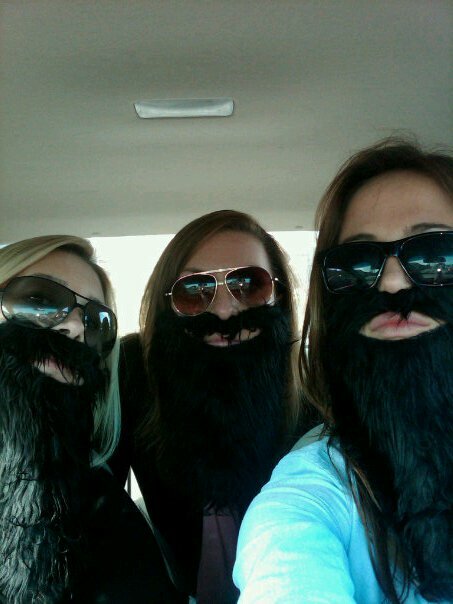 There are pictures of us driving throughout the city jamming out to Lady Antebellum’s “Perfect Day.” In beards. There are pictures of us popping out of bushes. In beards. There’s pictures of us sleeping. In beards. Ok, maybe just pictures of me sleeping in a beard. It’s a day that when we’re old and in the rest home we’ll tell our grand babies about. To show them that we were fun, and perhaps even wild. They’ll just roll their eyes. But we’ll remember. Fear the Beard. It was a perfect day. And then there was that night in San Diego. Rebecca and I go back to this night a lot. It changed the last four years of my 20s. I had just finished a six-week long jury trial. Six weeks. Lawyer friends, you know that a six-week jury trial basically equates to Hell in a hand basket. Or, at least having no life for six weeks. To celebrate its conclusion, Rebecca and I rented a nice room at a fancy San Diego resort to celebrate. Our friend, Evan, met us out and we hit our favorite place in San Diego: Pacific Beach. Looking back, it’s curious that Pacific Beach was our favorite place in San Diego. There isn’t anything particularly fancy or even nice about it. You go to Pacific Beach to eat lackluster Mexican food and down 32-ounce margaritas served in fish bowls. You then roam around the beach bars that are filled with townies. You dance to awful music in dark corners. Ok, so maybe after all Pacific Beach is pretty awesome. A pretty excellent night in Pacific Beach. 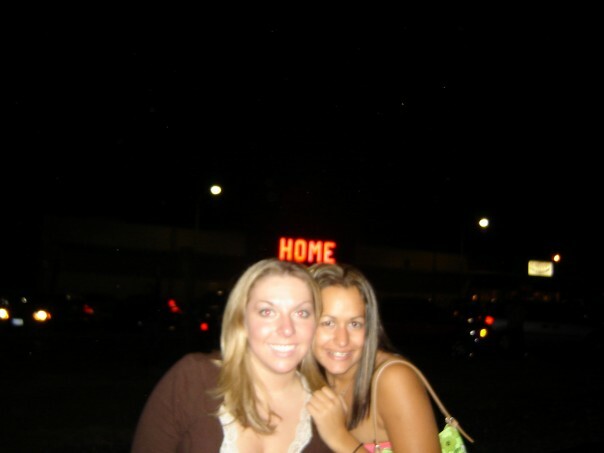 That night we were coming out of Moon Doggies and I spotted someone I knew from my college days. He said, “Alicia Jessop from Facebook? !” which sent Rebecca and Evan roaring into a fit of laughter. It sent my heart into excitement, though. I thought he was cute and funny and charming. And there he was! The next thing I knew, we all went on our merry way throughout Pacific Beach. 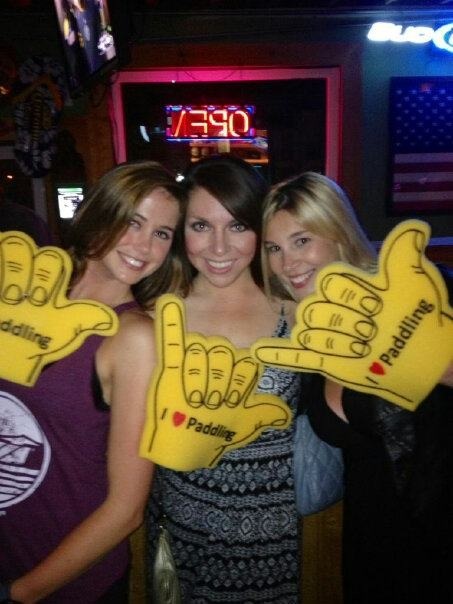 Nearly four years of my life transpired after that Pacific Beach night. Four years of phone calls and cross-country flights and really, really good times and really, really bad times. Highs higher than I ever imagined. A belief in someone so deeply, that at times, I was afraid I lost myself. Hints at marriage and conversations about what our family would be like. Imaginations wandering and dreams being built up in my mind. Lows lower than I have ever known. Insecurities that never had exposed themselves and reactions that I didn’t know I was capable of having. At the end, it was the realization that trust must always be the most integral part in any relationship that made me say goodbye. I think that everyone needs that one person in their life that makes them raw. Our love, romance, or whatever you want to call it wasn’t perfect. But it made me who I am today. And for that, I will always be thankful for that period in my life in which he was part of it. He taught me to believe in myself and to go after anything I wanted. He reminded me not to take things too seriously and to fight for what I want. In the end, though, I think the biggest lesson he taught me is that sometimes, it’s ok to give up on the things that you want the most. Because what I’ve learned in this last decade, is sometimes, you can’t want something into being. I’ve chased a lot in this decade. I’ve put my heart in a lot of places, that looking back, it maybe shouldn’t have been in. I think the only regret I have for my 20s, is that I didn’t find a life long partner. Now, I realize that the likely reason for that is I was chasing people who will never be caught. I let a lot of really good guys go. I let them pass on and I even pushed some of them away to chase the unattainable. I don’t know if that was a mistake, though. Because as you know, they say that what will be will find a way. And after living through my 20s, I know that I am much closer to finding my heart. The one thing I found in my 20s was a career that captures my heart. On July 1, 2011, I woke up and realized it was time to start doing something to further my passions. There was a cataclysm of events around this time that threw me into that decision. They were largely painful, dramatic events that pushed me fully into chasing my dreams. But I think they were what I needed to give me the final kick I needed to get moving in the direction I needed to be headed in. My 22-year-old self didn’t think she’d be invited to cover the Super Bowl by the NFL. Or cover the Final Four. Or cover the NBA All-Star Game and NBA Finals. Or become a professor at one of the top-50 universities in the United States at the ripe age of 29. Or be invited to write for a publication like Forbes. If I could’ve painted a picture of my life at 22, I wouldn’t have expected it to look like this. 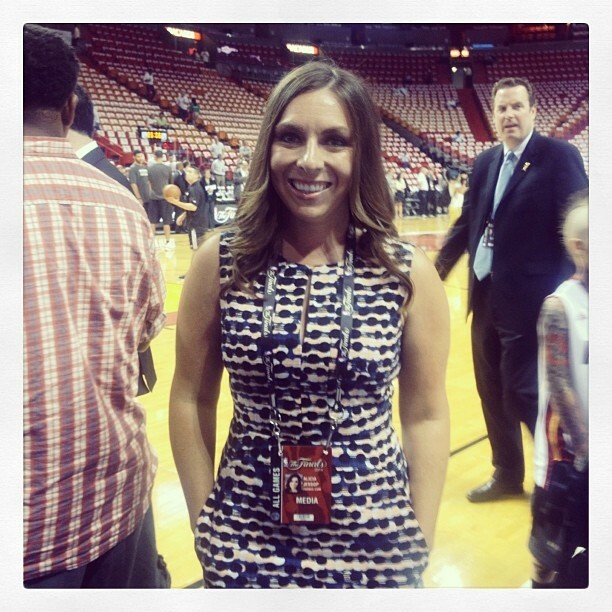 Covering the 2014 NBA Finals was a blast! These are blessings. And I count them every day. I thank God every single night for bringing me out of one of my darkest moments into this heaven of a world He’s created for me. When people ask me how I got here or how these opportunities became mine, I want them to know that it’s because of God and my faith in Him. There is truly no other answer to me that makes sense. He was faithful to me when I didn’t think my heart could be mended. And how he mended it was greater than anything I ever could have imagined. Or asked for. So, 30. It’s here. It sounds crazy, but I never thought I would turned 30. 30 seemed like a unicorn in a field of daisies. It’s something that could be there, but nothing I ever expected to reach. As I cross this bridge of time and turn the page to a new realm of life, I’m grateful. I’m really grateful to be here at this doorstep of a new decade. I’m grateful that I can stop chasing. I’m grateful that now, I can start building. I want to start building deeper roots in my community. I want to start building relationships instead of chasing them. I want to start building deeper memories with my family and friends. I want to start building more meaning for my career. I want to start building a life. And living it. This life is beautiful. As sad as I am that my 20s are coming to a close, looking back, I am also kind of relieved. In all honesty, this decade seemed to have lasted an eternity. Luckily, I only escaped with three grey hairs, that I have subsequently yanked out of my head, and some fine lines which I treat with really expensive face cream. *As long as it’s not more grey hairs and fine lines.